People seek counseling for many reasons: to deepen connection or resolve conflict with loved ones, to overcome depression, to heal past traumas, to understand the depth of one's anger, to let go of addictive behaviors, to grieve a great loss, for personal growth, or for support during major life transitions. The Gestalt Equine Institute of the Rockies invites you to explore our Equine Journey series. We offer a variety of services to the community including individual, couples, and family therapy, groups and workshops, and corporate team building. 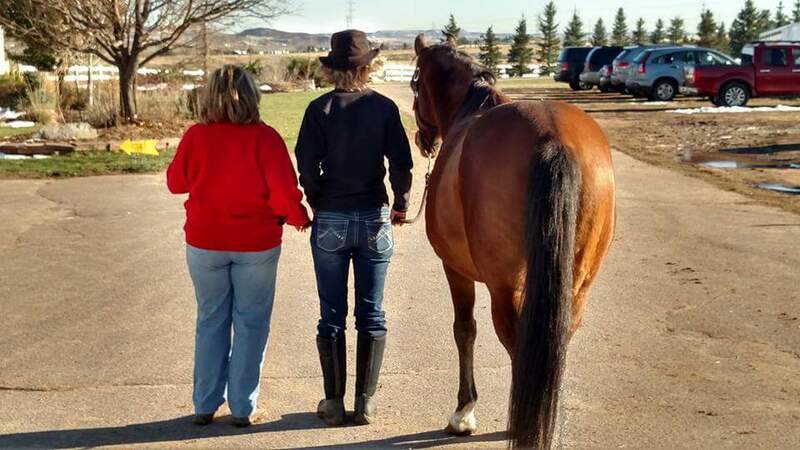 Stable Family Intensives – Keep your family together versus sending your child away to a residential treatment, boarding school, or wilderness therapy program. Equine facilitate family therapy is one of the most effective and efficient forms of therapy available. Couples - Rejuvenate and deepen the bond, trust, and intimacy between you and your partner. Parents – Receive support and become the parent you want to be! Organizations – Horses are a unique and engaging way to improve your team effectiveness. Individuals and Groups - Explore developing a relationship with the horses, and how that relationship can be a reflection of your inner process. Step into personal responsibility, acceptance, and the ability to choose the life you want for yourself.